Kirk Bros. Co. Inc. constructs full-scale treatment systems containing aeration tanks, anaerobic digesters, chlorinators, clarifiers, softening filters, pressure tanks, piping, valves and pump stations. Kirk Bros. Co., Inc.’s crews are experienced installers of traditional wastewater treatment plant (WWTP) process equipment and the latest technology such as Membrane Bioreactors (MBR), Sequential Batch Reactors (SBR) and Counter Current Aeration Systems (CCA). 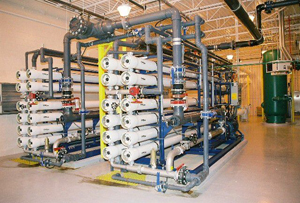 Kirk Bros. Co., Inc. successfully installed the first reverse osmosis treatment system in Ohio at the Huber Ridge Water Treatment Plant (WTP) in 1996 and was one of the first to perform projects using the Microfiltration Process.